Sensuous dreamscapes to transport the listener to the lush tropical environs of the outer reaches of the omniverse. 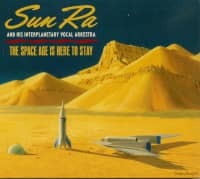 Your choice of three colorful inter-stellar saucers or two compact saucers of “Exotic-Ra” bringing you to a lush cocktail party where space is the place. All packaged in a beautiful Chesley Bonestell adorned gatefold package with two sets of extensive notes! 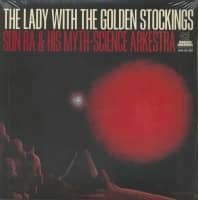 Sun Ra. Exotica. Incongruous? 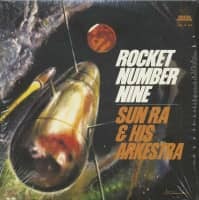 Listening to the 25 tracks herein will showcase that Sun Ra was, indeed, an Exoticat of sorts, albeit in his own unique way, of course. 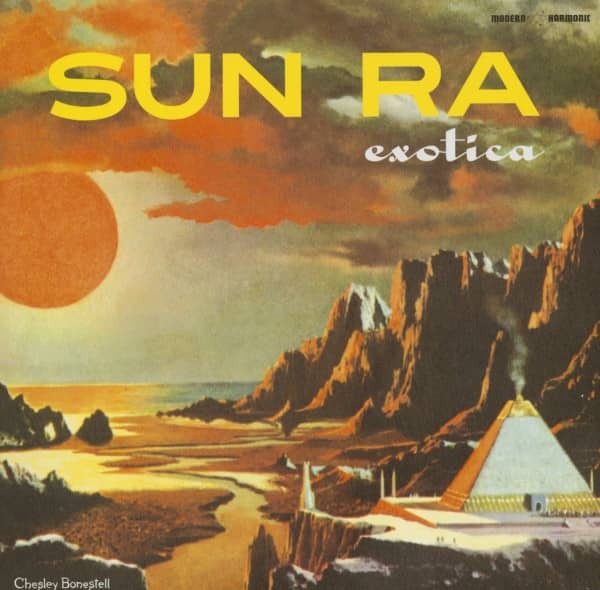 That Sun Ra hasn’t been celebrated in Exotica circles is understandable. Though many collectors are fans of both, at cocktail soirées Ra has never seemed to make the cut. This album aims to change that! While Sun Ra never made an “Exotica record,” such tracks are mixed in his LPs alongside idiosyncratic space jazz, post-bop, electronic freakouts, and his other sonic experiments. 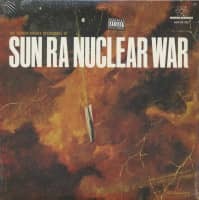 Never an easy categorical fit, anyone who says “File Under: Jazz” doesn’t understand the stylistic breadth of Sun Ra’s recorded legacy. It’s a rhapsodic pandemonium of Afro-centric rhythms, Latin beats, ostinato grooves, and unissued tunes! Third Man Pressing in a sturdy high gloss package with an unearthed Ra photo and a stunning cover by the “father of modern space art!” Includes two sets extensive liners written by Irwin Chusid and Brother Cleve (of Combustible Edison)! 3-LP and 2-CD set of Irwin Chusid currated Ra for the cocktail-jetpack –jetset! 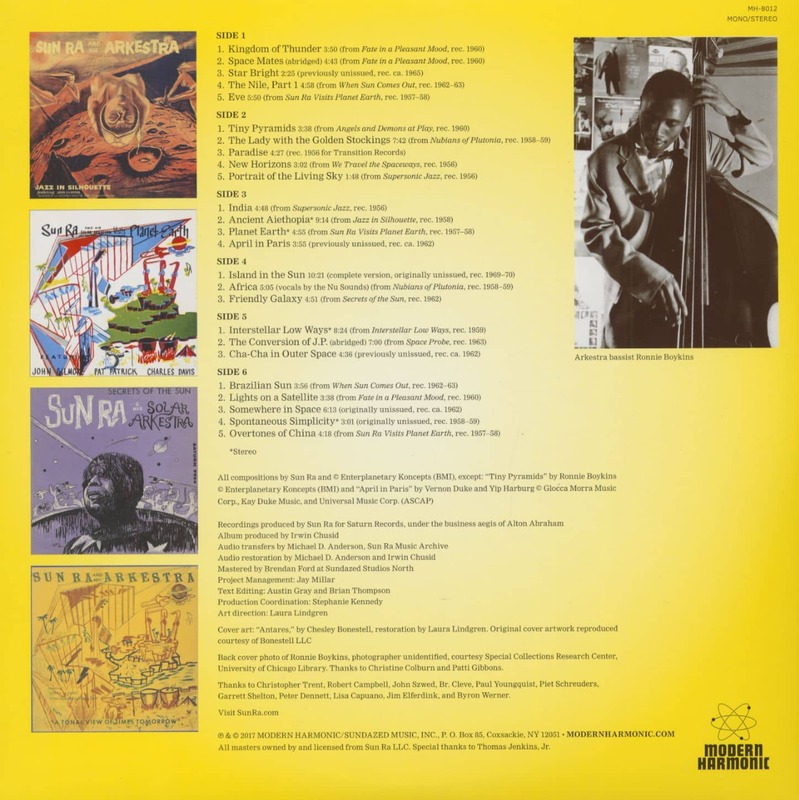 "Sun Ra & His Arkestra"
Customer evaluation for "Exotica (3-LP)"